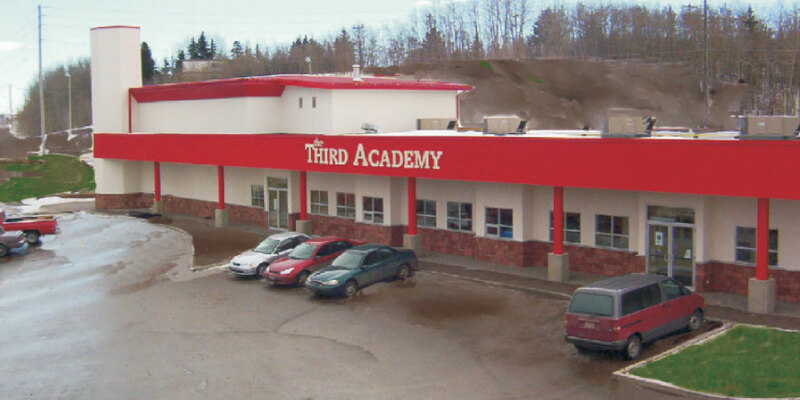 The Third Academy is a special education facility for students with learning challenges. A major consideration with this project was its need to function as a school for a period of ten years and then revert to its long-term function as a strip mall. The school includes a small gym, classrooms, and administration offices. It was important to integrate the style of this new building into a 50-year-old site, including bringing the landscaping and building location up to current City of Red Deer standards. Since its construction in 2004, this building has fulfilled the owner’s goal of an expedited conversion to a new tenant function. 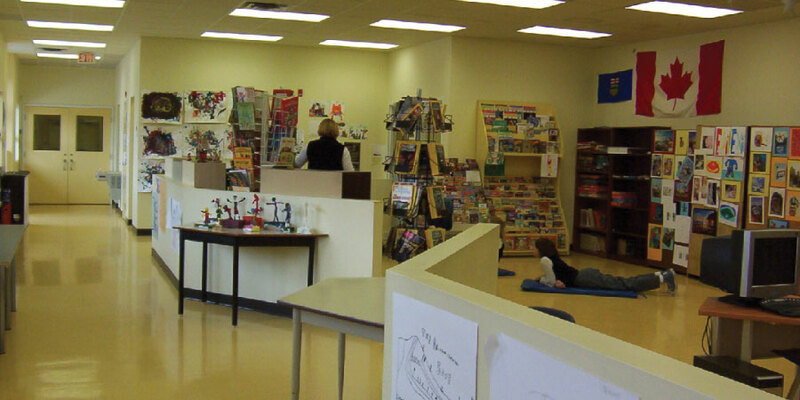 The gym was specifically designed to become a two-storey space with proper exiting, stairs, etc. All spaces were designed with tenant conversion in mind. In 2012, the building was converted to an Outreach Centre which provides a variety of services, including Central Alberta Women’s Outreach Society and Suicide Information and Education Services.